We recently gave readers of this blog a summary of the key highlights from the Advertising and Marketing Summit at the Telco 2.0 Executive Brainstorm in October, run in partnership with the GSMA. 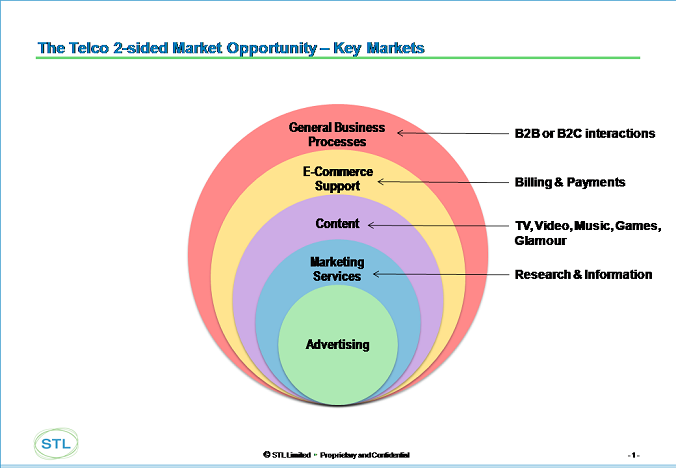 This post seeks to build on the last one and give further insight into why Advertising should be interesting to operators: not because it will fill the gap created by declining voice and messaging revenues alone, but because it represents an entrée into other lucrative areas. Make the business model attractive to all members of the value chain, starting with content players: no content, no advertising. Remove punitive (off-portal) data charges. We then had a ‘response’ to this from the operator industry in the form of Richard Saggers, Head of Advertising at Vodafone Group and Henry Stevens, Business Development Director at the GSMA. Richard and Henry both argued eloquently that they were leading the charge on behalf of the operator community and that they were taking the opportunity very seriously. Richard explained how Vodafone planned to offer advertisers Reach + Relevance (targeted ads) + Interactivity (making use of the return channel offered by mobile). He ran through the array of Vodafone partnerships across the Globe, together with some specific services such as the advertising available on Vodafone Live! in the UK and the Czech ad-funded SMS service. Henry stressed the need for operators to collaborate to create the building blocks for advertising - common language, processes and capabilities (particularly metrics). He explained that the GSMA is coordinating activities across operators. It was a bit of a surprise when Richard announced, however, that several European operators seemed surprisingly reluctant to engage in collaborative activities. 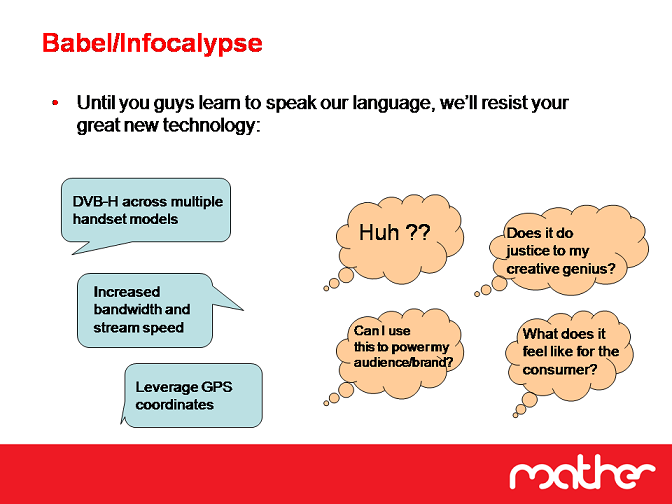 He cited that only Vodafone had rung in for a recent GSMA Mobile Advertising Programme (MAP) conference call. Andrew Bud, Vice Chairman of the Mobile Entertainment Forum, went some way to explaining this. 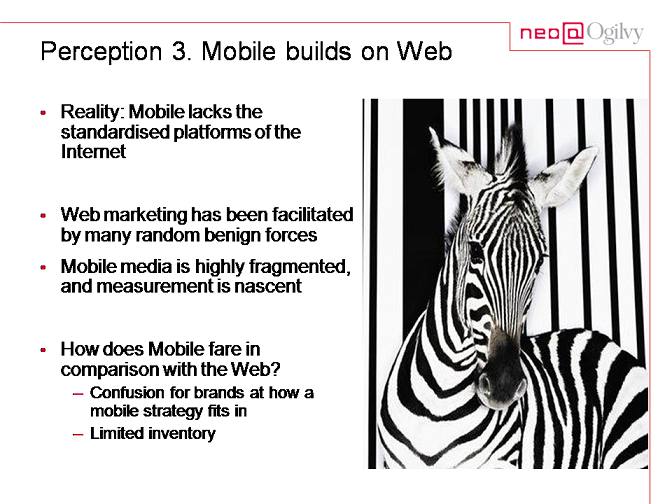 The key message from in his presentation was that mobile advertising did not justify strong investment from operators: the market is too small. 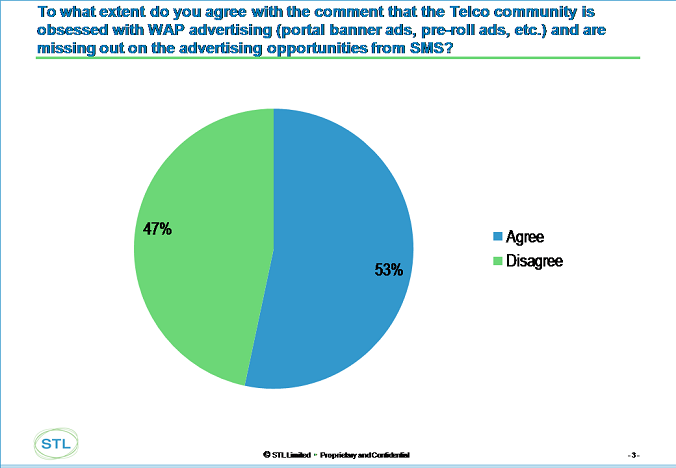 This is something that we have covered at length on the blog and in our report, Telcos’ Role in the Advertising Value Chain, but it seemed to be a revelation to several delegates. We have heard lots of ‘we could’ or ‘we might’. Very little ‘we are’. How hard is it for an operator to make the internal business case to spend money on putting in these kinds of systems? Breadth and depth of customer information. Behavioural, demographic, contextual, financial, social interactions, commercial relationships — anchored to robust foundation of user identity management processes and services. Deep customer relationships. Including the ability to bill customers and take payments, manage sensitive private data. Telcos are trusted brands. A Response Channel. For end-user customers so that they can interact with upstream customers. Distribution Skills. Ability to package up access or content delivery with data, devices and applications and bill distribution costs to upstream partners (not ISP-based users) (“free postage and packing”). Privacy management. Environment and platform within which operators can use personal data to personalise services on behalf of third parties without necessarily sharing that data externally. Interoperability. Across networks and operators so that scale can be developed and the network effect can come into play - per GSM approach. Strong end-user customer service support. To deal with post-transaction issues and technical enquiries. Sales, support and commercial framework for upstream partners. The biggest challenge - make yourself ‘nice to do business with’. As we mentioned in a previous post, we are embarking on a major new research programme to size the potential of The Telco Two-Sided Business Model Opportunity. 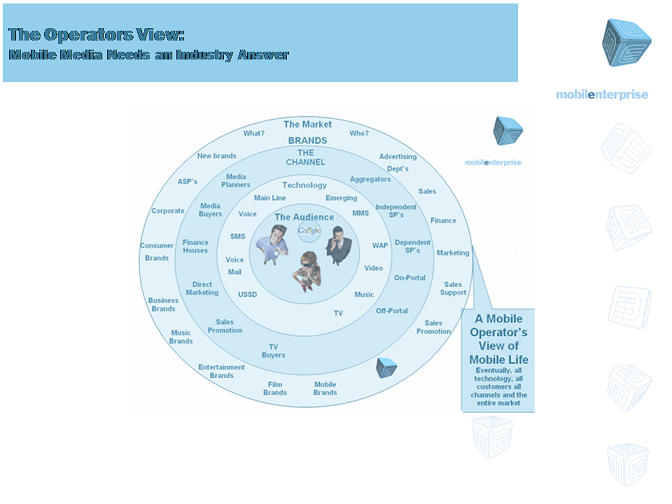 This research will become a report (to complement the work we have done on Advertising and Broadband Business Models) and will be presented at our next Telco 2.0 Executive Brainstorm in April and at the CMO Forum at the Mobile World Congress in February. 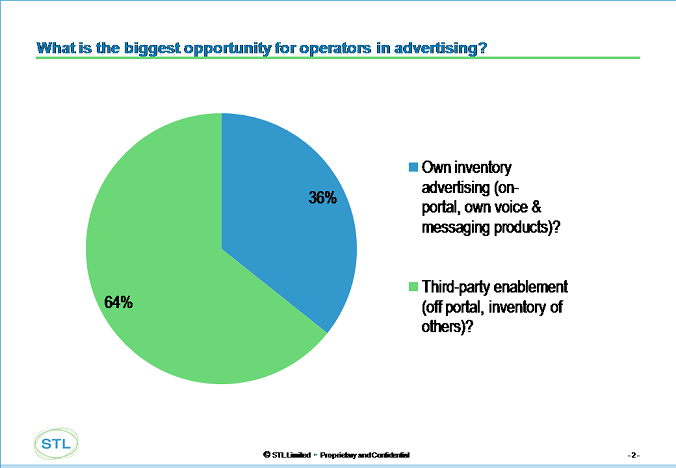 Lots of Operator Portal Trials …But, So What? We had three great case studies presented by Tarek Wahba, Senior Manager, Orascom Telecom; Charles Sword, Head of Mobile Advertising, Yahoo! Europe on the work being done with Vodafone UK; and Victor Malachard, Senior Director, Infospace on the search capability that Infospace has developed for Virgin Mobile. It was refreshing to see some practical solutions being offered in the marketplace today. 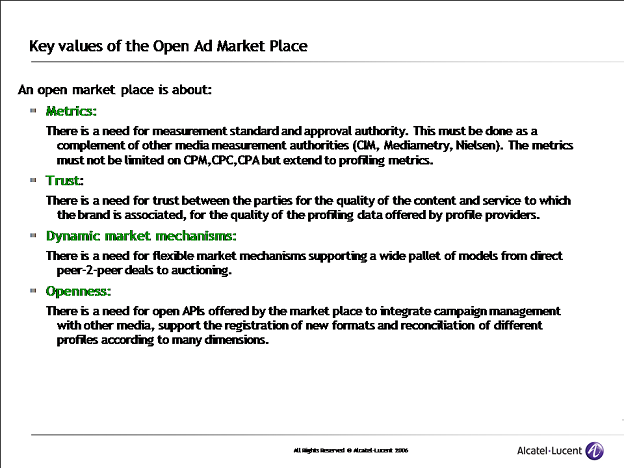 However, the presentations did serve to emphasise the focus operators are giving to on-portal advertising at present. We at STL Partners have long since argued that the bigger opportunity for operators is to help third-party websites to deliver advertising through better targeting. They consider mobile advertising as an Internet extension - which it isn’t. The potential is there, but the experience lags behind. Why do you say Disagree? SMS can be perceived as spam… and be rather annoying, unless done in a constructive manner! SMS has been overused in most very-competitive markets, i.e. many markets (emerging markets, UK). The value has been exhausted. What was really surprising was the number of people who seemed to believe that the SMS ad market is either saturated and/or simply capable of delivering spam. Neither is true. There is a substantial growth opportunity for SMS advertising and one of the key drivers of this will be better targeting and relevance. This is not difficult for operators to exploit and is a relatively simple way for them to raise the profile of the Telco ad channel since much SMS advertising is cross-platform (e.g. premium rate codes in newspapers or on billboards) and so easier for advertisers to include in their existing campaigns. Organisations whose purpose it is to protect me can have a government-given right to intrude, I believe. Organisations, whose purpose it is to make money do not. I believe that Joe Bloggs does not know what Joe Hogan described and if he did, there would be uproar! I believe that consent must be requested before the data is used and furthermore I believe that there needs to be Chinese walls between collection/storage and use. George Orwell could not have imagined this… I understand why Telcos want to think about this and possibly use it to make money as that is their role in life, but there are more important things. But who should monetise it? Not the operators - they don’t know how! Privacy is clearly a complex area, but it should be feasible to protect customers by anonymising and/or encrypting data and by ensuring customers opt-in for ad services with ‘eyes open’. All this can, of course, be backed up by self- or government regulation. As the other quote above demonstrates, several delegates (and others within the industry) remain sceptical about the operators’ ability to realise the opportunity. We are more optimistic. However, operators need a better incentive than they currently have because the advertising market alone is not big enough to excite them. We hope that our research programme will go some way towards giving senior management the confidence to invest in the two-sided business model opportunity. The ROI profile is similar to building a Telco network: high upfront investment which is amortised over a long period resulting in strong cashflows later. This is not without its risks but operators are, at least, familiar with this risk profile. In some countries (where operators are willing to cooperate) create a single x-operator national offering to local advertisers and media planners. Why? To give a less fragmented service to advertisers. When? Design offering in the next 12 months. Take to market over next 24-36 months. Even that’s too complicated. Just get the 2 biggest operators in a single country to agree to do something simple together, and the others will follow. Why? To show some quick successes and create momentum. Next 6 months. One single x-operator offering is complex to implement. If done right it is a powerful catalyst. Yet there is a more important consideration why 1 single x-operator offering will be difficult to achieve and that is market regulation. Operators could work together and establish a federation or at least some sort of national framework (guidelines, datasets, etc) and allow the different operators to define their own business models and pricing (competition must be encouraged). Besides this would allow other brokers to emerge and compete. But to make this market going some orchestrated effort and implementation is required. Of course, if operators don’t get this right you can be sure that Google will.